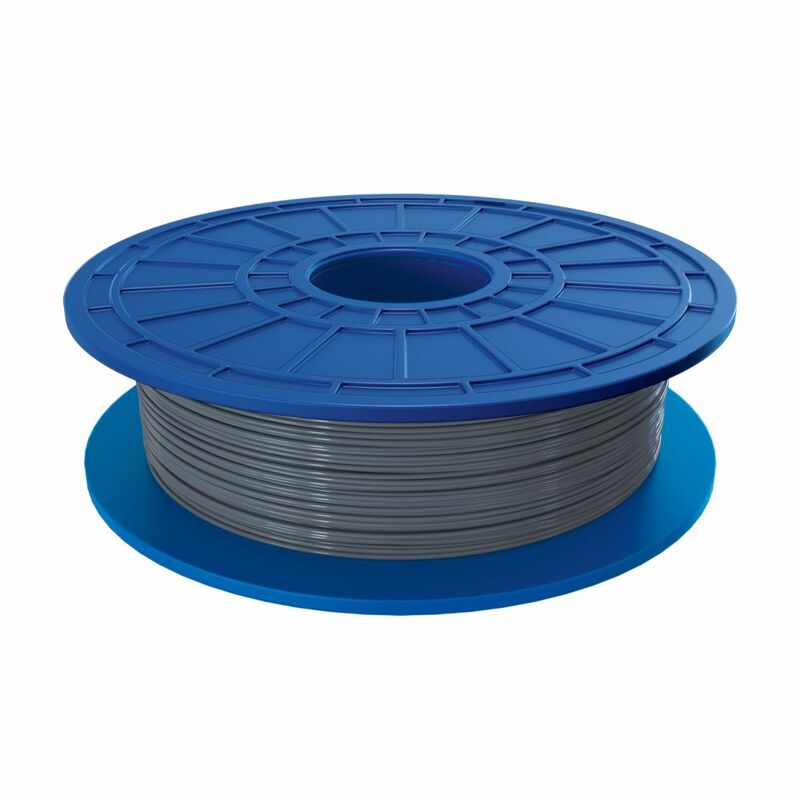 PLA 3D Filament in Silver The Dremel PLA (polylactic acid) filament has been specifically designed to work with your Dremel 3D printer for optimal results. The PLA is a thermal plastic that softens when heated to create your design layer by layer effortlessly with a high quality finish. PLA 3D Filament in Silver is rated 4.2 out of 5 by 5. Rated 3 out of 5 by Calvin from Gets the job done but with quality of life problem The final print ended up good however the filament itself was very brittle, like it snapped several times while loading the filament and once while it was already loaded (luckily I was there and able to load it before the print failed). The supports that this makes are very hard to remove under standard settings but its nothing that you can't fix in the settings. These qualify of life problems are not that troubling but considering that this filament very expensive and that Dremel forces you to buy into their ecosystem of filaments means I can't give this more than a 3 at best. Rated 4 out of 5 by HomeDepotCustomer from I just started using this material for modeling and prototyping about 3 weeks ago, I like the col... I just started using this material for modeling and prototyping about 3 weeks ago, I like the color and the finish quality of the 3D prints made with it is really good. I'm definitely going to get more. Rated 5 out of 5 by Ken from Great selection The filament was bought for my new printer thanks for having so many choices ! Rated 4 out of 5 by MakerBoy6225 from Not as bright as I'd hoped, performs well The color is not the bright yellow gold that appears in the sample photos, it is very close to the color depicted on the spool. It's moderately translucent when printing thin structures. Worked well with my MakerBot 5th Gen with default temperature settings. Does this fit the Dremel 3d45 printer with RFID detection? The Dremel DF50-01 PLA Filament is compatible with the 3D45 with detection. For further assistance, please contact us at 1-844-437-6533, Monday-Friday, 8A-5P CST. If an order is placed can it be eturned. How many ft of filament in the spools for the 3D printer?